The 2019 NCSA Junior National Championships hosted at the Orlando YMCA in Florida have officially begun. On the first day of competition the line up consists of the women’s and men’s 1000 free, the women’s and men’s 100 IM, and the women’s and men’s 800 free relay. There are many teams competing with swimmers representing a wide array of states. With that being said, it should be an interesting and highly competitive next five days of swimming. The first event of the 2019 NCSA Junior Championships proved to be highly competitive with close races throughout heats. 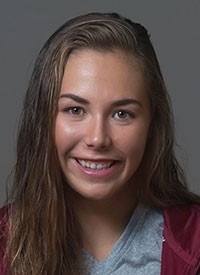 The first gold medal to be awared at the 2019 NCSA Junior Nationals Championships went to Paige McKenna from Nation’s Capital Swim Club took home gold in the event with a time of 9:35.99, nearly eight seconds ahead of second place. Silver went to Fox Valley Swim Team’s Rachel Stege finishing with a time of 9:43.09. It was a very tight race for third as only two hundredths of a second separated Nation’s Capital swimmer Brooke Travis from Lexington Dolphins swimmer Rachel Klinker. Klinker remained slightly ahead of Travis almost the entire race. It wasn’t until the last 50 off the event when Travis pulled ahead touching the wall at 9:49.65. Klinker finished in fourth with a time of 9:49.67. Fifth place went to Paige McCormick from Hudson Explorer Aquatic with a time of 9:52.41. Finishing right behind her was Chattahoochee Gold Swim Club member Elizabeth Byrne with a time of 9:52.94. Alivia Lindorfer from St. Croix Swim Club finished in seventh with a time of 9:54.65. Topping of the top eight qualifiers was Lucy Malys from Oly Swimming with a time of 9:56.03. The 2019 NCSA Junior National Champion in the men’s 1000 free is Ryan Vipavetz from Rockville Montgomery Swim Club with a time of 9:07.56. Shortly behind him was unattached swimmer Garrett McGovern finishing in second with a time of 9:10.75. The remainder of the pack, third through sixth place, were all 9:11’s making it a highly competitive race. Taking home a bronze medal was Nova of Virginia Aquatics swimmer Christopher Dallavalle hitting the touch-pad at 9:11.05. Fourth place went to Daniel Gyenis from Machine Aquatics with a time of 9:11.51. Unattached swimmer Jacob Rosner finished in fifth with a time of 9:11.72. Asphalt Green Unified Aquatics swimmer Dylan Porges took home sixth place with a time of 9:11.89. Seventh place went to Samuel Oliver from Snow Swimming with a time of 9:12.35. Cole Kuster from Purple Valley Aquatics crept into the top eight with a time of 9:13.29. Not an event one would typically find at a USA swim meet with swimmers above the 11-12 age bracket, is the one and only, the 100 IM. It was a tight race among the top three swimmers at this years 2019 NCSA Junior Nationals Championships in the women’s 100 IM. Yet, Arlington Aquatic Club swimmer Victoria Huske won the event wit a time of 54.20. Shortly behind her taking home a silver medal was Phoebe Bacon from Nation’s Capital with a time of 54.34. Aquajets Swim Team member Isabelle Stadden finishing in third with a time of 54.43.The remaining top eight swimmers all swam 55’s. It was an especially close race among fourth and fifth place with only six hundredths of a second separating them. Kaylyn Schoof of Elmbrook Swim Club finished in fourth with a time of 55.06,while Nation’s Capital swimmer Abigail Harter was right behind her in fifth with a time of 55.12. An even closer finisher was a tie for sixth place. TNT swimmer Letitia Sim and another Nation’s Capital swimmer, Katelyn Mack, both finished with a time of 55.23. Rounding off the top eight finisher’s in the women’s 100 IM was Grace Sheble from Nova of Virginia Aquatics with a time of 55.37. Shane Blinkman from St. Croix Swim Club took home gold in the men’s 100 IM with a solid time of 48.76. Meanwhile, St. Charles Swim Team member William Myhre took home silver with a time of 49.31. Right behind him in third was Kimani Gregory from Racer X Aquatics touching the wall at 49.71. Fourth place went to Nation’s Capital swimmer Sean Conway with a time of 49.73. Lexington Dolphin swimmer Zachary Hil out-touched both Long Island Aquatic Club swimmer Timothy Marski and Nova of Virginia Aquatics Club swimmer Zachary Cram. Hil finished in fifth with a time of 50.11 and Marksi and Cram tied for sixth with a time of 50.19. Poseidon Swimming Inc. swimmer, Sean Hogan, took home eighth in the last individual event of day one at the 2019 NCSA Junior National Championships with a time of 50.34. To conclude day one of the 2019 NCSA Junior National Championships in Orlando was the men’s 800 free relay. It was quite the event at the Orlando YMCA as there was a tie for first place between Long Island Aquatic Club and Nation’s Capital. Long Island had swimmers T. Marski, Ryan Davidoff, William Swartwouf, and Jason Louser were on their A relay for Long Island. Louser anchored with an impressive 1:37.27, which was enough for the boys to hit the touch-pad at the same time as Nation Capital’s. Meanwhile, A. Nguyen, S. Conway, Mitchell Meyer and Peter Makin represented Nation’s Capital. S. Conway, second leg of the race, split a speedy 1:36.19 which proved to be key for them tying for a gold medal. Earning a bronze medal in the event was Fox Valley Swim Team with a time of 6:38.03.